MaryFran Simply...: Get Well Aunt Jo! I just finished this card and thought I'd go ahead and post it- no particular reason, but here it is- the photography isn't fancy and I just used a piece of scrapbooking paper to lay the card on to take the picture as Debby Hughes from Lime Doodle suggested as one of the ways she photographed. 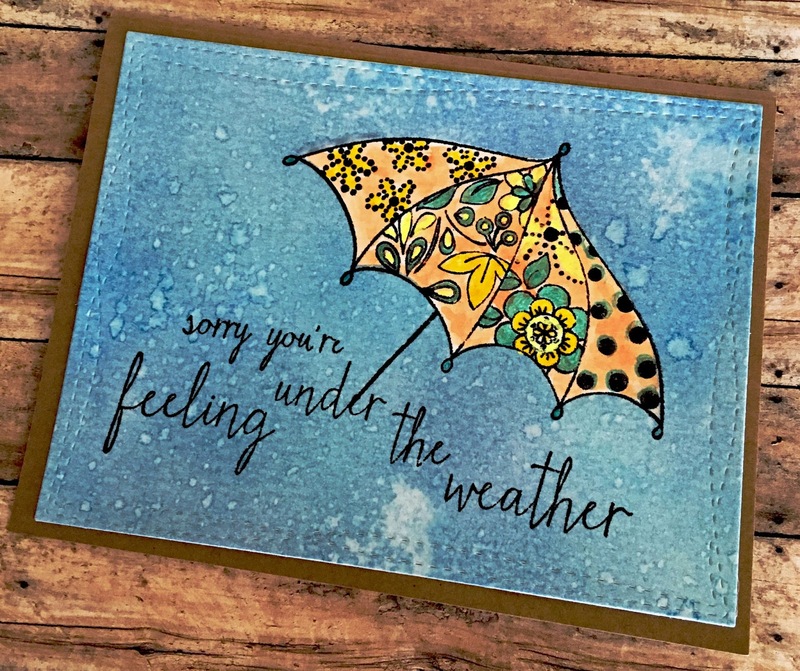 First I stamped Penny Black's Get Well, umbrella stamp, masked it with some masking paper, and used Faded Jeans Distress Ink applied with an ink blender, dropping little water droplets from my hand and waited for it to dry. 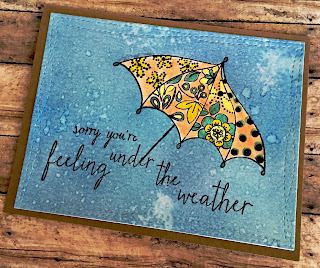 Once everything was dry I colored the zentangle-like umbrella with Zig Clean Color Markers and stamped the sentiment. I die cut the panel with My Favorite Things Wonky Stitched Rectangles and mounted it on some brown kraft paper. I just love your cards and the techniques and colors you use. I will be following your blog every day. I can't wait for more!!!! !